partypoker.fr is a French facing skin of the online poker giant partypoker. 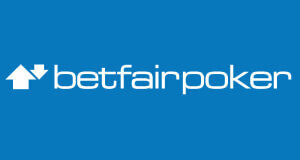 Just recently, partypoker.fr joined a shared liquidity pool between France and Spain. This now allows players on partypoker.fr to play against partypoker.es players. After years of segregated poker markets, players from France and Spain now have a chance to play on in a bigger player pool which in turn means more action. Of course, being part of the Party network, partypoker France offers all the benefits of its international counterpart, including the amazing partypoker software. In this review, we will take a close look at the promotions available on partypoker.fr (France) as well as the rooms traffic, rake and our partypoker.fr Rakeback Deal. Below you can find an overview of current and available promotions and rakeback at partypoker.fr. While conducting this partypoker.fr (France) review, our team of online poker experts tested the room’s software, played both cash games and tournaments as well as got in touch with the partypoker.fr customer support. When it comes to the software, partypoker.fr uses the partypoker software, which is among the best online poker software solutions on the market. It is constantly updated and offers many customization features and multitabling is easy and comfortable. Although the traffic is a bit lower than what you can expect in big international rooms, it’s still high enough to get good sessions up and running. Overall, the experience is what we have come to love and expect from the partypoker network. We encourage you to contact our support if you have any questions or concerns. Also, feel free to leave a comment and let us know about your experience while playing on partypoker France! How to open an Account at partypoker France? 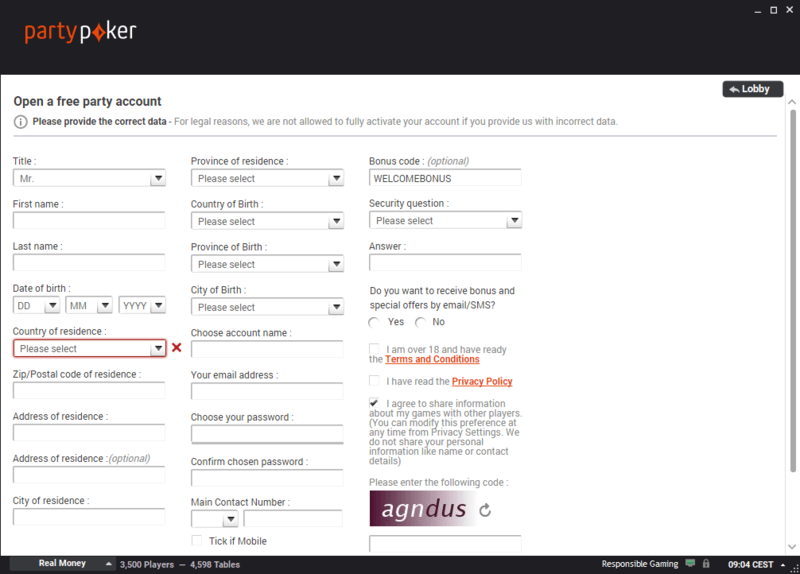 It’s easy to open an account at partypoker.fr and it should not take long before you are able to jump into the action. But to help you set up your account while reading our partypoker France review, we have prepared a simple step by step guide. Please delete Cookies (important) and then CLICK HERE to start the partypoker.fr registration process. You will be redirected to their landing page, where you simply have to click “Download Now” in order to download the client. To do this, you will have to send a photo of a piece of identification (national identity card, driver’s license or passport) and a bank account statement (RIB) to partypoker.fr. After that, you will receive a letter with your personal activation code. Enter it in the “My Details” section of your account. Now that you have set up your player account, it’s time to make your first deposit and claim the free €22 Tickets. As we already mentioned at the start of our partypoker France review, partypoker.fr offers a whole range of great promotions, tournament events and other incentives for you to enjoy your grind even more. This includes free €22 Tickets. But, that’s not all! By signing up for our partypoker.fr Rakeback Deal, you get to participate in our private rake races, chases, and giveaways! partypoker.fr will award you with €22 in free tickets upon making your first deposit. It comprises out of 4 x €5,50 tickets you can use to play any €5,50 buy-in tournament on partypoker.fr. 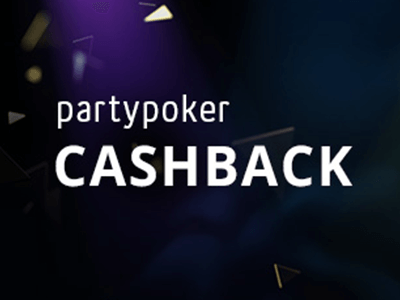 partypoker.fr offers a new and improved Cashback loyalty program. 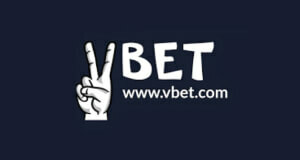 It will allow you to earn up to 25% rakeback as well as weekly rewards, credited in cash to your account. The rewards you receive depend on the level you are at. The more points you earn, the higher your rake back will be. Party is back in the game and we are offering a high-value VIP deal which includes our Exclusive Party & Bwin Chase. Join the biggest Party & Bwin chase in the industry and earn up to 10% extra rakeback on top of any other promotion! As we promised at the start of this partypoker.fr (France) review, we will now take a closer look at the rooms traffic, software, and rake. The traffic on partypoker.fr is constantly growing, especially ever since it joined the shared liquidity pool between Spain and France. There is always many cash games up and running at all times, although you might have a hard time looking for high-stakes action. While conducting this partypoker.fr review, our poker experts also noted that there are two types of tables available: on some tables, you can play against the entire player pool, while on others, only players from France can play against each other. The software is by all means among the best in the online poker market, with a great design and plenty of personalization options. The rake varies between 1% and 6,6% on average while the tournament fees can be anywhere between 0% and 25% but more about that in the Traffic & Games part of our partypoker.fr review. Do you want to play poker on the go? With the partypoker.fr Mobile App, you can enjoy all of your favorite games anywhere and anytime. 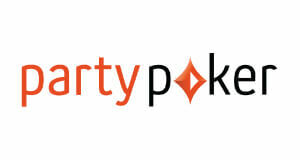 partypoker.fr took care of all Android and iOS users with its state of the art partypoker.fr Mobile App. With it, you can play poker on all your favorite mobile devices. Downloading the partypoker.fr Mobile App is simple. All you have to do is to visit the partypoker.FR WEBSITE using your mobile device and tap the “download” button. On partypoker.fr you can choose from a range of popular and secure methods that best suits. You can find the full list of available deposit and withdrawal methods below. FREE $50,000/$1,000,000 Within 3 – 5 business days after your withdrawal request has been approved. 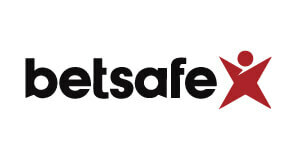 partypoker.fr (France) complies with some of the highest safety standards when it comes to the safety and reliability of cashouts. 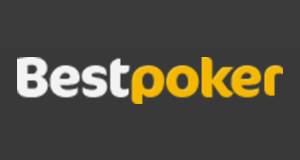 Overall, partypoker.fr is one of the best choices for French poker players. Especially since more and more countries are expected to join the European shared liquidity pool. partypoker France is eligible in the following countries: France, French Guiana, French Polynesia, French Southern Territories, Guadeloupe, Martinique, Mayotte, New Caledonia, RÃƒâ€°union, Saint Pierre And Miquelon. Spain, France, Italy and Portugal sign a convention for shared poker liquidity! partypoker France is a partypoker skin focusing on the French market. It recently joined the shared liquidity pool between France and Spain, which means that players from those, previously segregated markets, can now play against each other. 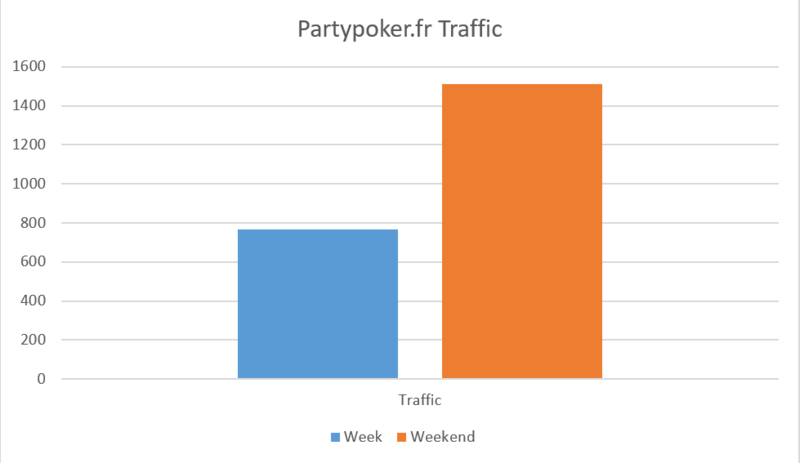 The traffic at partypoker.fr (France) has been steadily growing ever since the formation of the shared player pool. With thousands of active players, partypoker.fr can rival many international poker networks. partypoker France is especially appealing due to the fact that it offers the superior player experience, renowned Party software, and low rake. The games are also a lot softer than on partypoker.es. We will discuss all this and more, including the rooms traffic, games, rake and of course the partypoker.fr Rakeback Deal in our partypoker France Review. Of course, partypoker France is part of the partypoker Network and shares its liquidity pool with another partypoker skin, partypoker.es. When playing on partypoker.fr you will notice that it offers the same superior poker experience, we’ve all come to expect from partypoker. Ever since partypoker.fr (France) joined the shared liquidity pool with partypoker.es (Spain), the traffic has been constantly growing, and with more countries joining soon, there is no sign of the growth stopping. On average there are 200 to 400 players active at partypoker.fr tables, which means that there are 30 to 60 tables active at all times. As you would expect, the main account and table currency on partypoker.fr is Euro (€). Since the room currently offers games only to players from France and Spain there is no need for other currencies, so all deposits are converted to EUR. 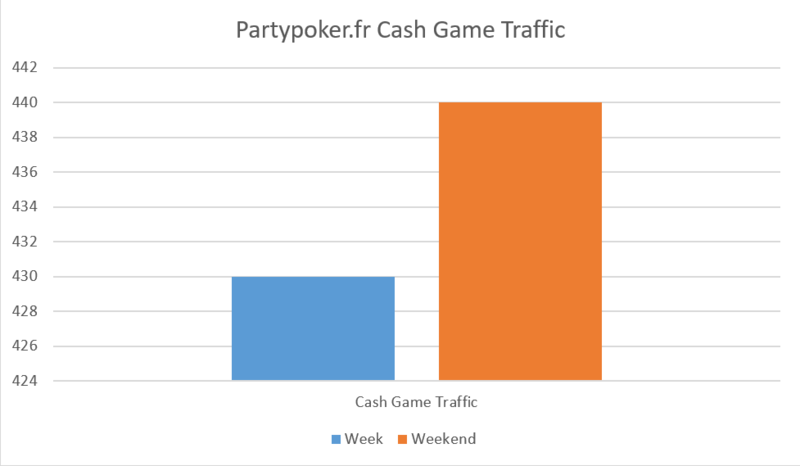 Cash Games are the most popular form of poker at partypoker France. While most of the traffic is concentrated at the 6-max NLHE tables, there is plenty of action on their full-ring Hold’em and 6-max Omaha tables as well. On average there are between 400 and 800 players active at all Cash Game tables combined, so the traffic is more than sufficient for even the most serious grinders. It’s worth noting again, that those games are noticeably softer than in most other international player pools and therefore offer a nice opportunity for everyone that can join partypoker.fr. No Limit Hold’em is of course the most popular poker game on partypoker.fr (France) with an average of 300 players at 30 to 50 active tables. No Limit Hold’em games at partypoker run all the way from NL2 to NL1000. The traffic peaks on weekends with over 700 players. Pot Limit Omaha games are available at stakes from PLO2 to PLO1000 and up to 15 active tables are available at all times. 6-max PLO traffic varies between 40 and 50 active players all days of the week. Full Ring PLO tables on the other hand don’t get much traffic. partypoker France offers a well-structured daily and weekly tournament schedule, filled with exciting tournaments, offering huge guarantees. A wide selection of tournaments ranging from regular and turbo formats to Knock Out tournaments attracts an average of 400 players during the week and 900 players over the weekend. The daily tournament schedule at partypoker.fr is further enriched with a variety of special tournaments, that take place every day between noon and midnight. They are called Bazooka, Monster Stack, Shield, Predator, Main Event, Master, Second Chance, and Black Out. With buy-ins ranging from €0.55 to €250, those tournaments perfect for all bankrolls. On top of that, there is a PKO tournament starting every two hours, and thus adding even more excitement to the schedule. Sunday is the day for boosted guarantees on partypoker.fr. While the daily schedule says more or less the same, the guarantees are increased substantially. There is also more satellites taking place on Sunday, which means you can qualify for your favorite tournaments at a discount. partypoker France has recently introduced their very first tournament series, exclusive to French and Spanish players! The KO Series boasted a €1M GTD prizepool and consisted out of 115 Progressive Knockout tournaments with buyins ranging from €2,20 to €250. More similar series are sure to be introduced in the coming months as the traffic on the network increases further. Regular, turbo, hyper turbo and double or nothing Sit and Go’s are available on partypoker.fr. The buy-ins range all the way from €1 to €100. The great thing about partypoker’s SNG’s is that with an average of 40 players at the Sit and Go tables, you will not have to wait long before your chosen SNG’s fill up. Turbo and Hyper Turbo variants of the Headsup SNGs are available, with buy-ins ranging from €1 to €100. 6-max and Headup Hyper Sit and Go’s are available at partypoker France and the buy-ins for them range from €1 to €100. 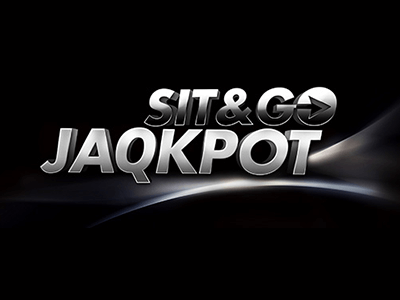 partypoker France offers a special type of Sit&Go tournaments, known as the Sit&Go Jackpots. Those 3 handed Sit&Go’s with buyins ranging from €1 to €100 give you a chance to win a 4,000x multiplayer of the buy-in. partypoker.fr offers you plenty of opportunities to build your bankroll. There are four freerolls available every single day of the week, offering €50 prizepools. They run at 3pm, 5pm, 7pm and 9pm CET. partypoker France uses the newest version of the partypoker software, which is elegantly designed as well as fast and responsive. It is built to suit every poker player’s needs be it professional or recreational. With the recent client updates in place, the software got even more visually appealing, giving the look and feel of a modern online poker software. The partypoker client enables you to have full control over its features. Hotkey and alert customization is available which makes life easier for you when multitabling. partypoker.fr’s lobby is easy to navigate and it allows you to find your favorite games in no time. It is structured in tabs. Those tabs allow you to choose between different game formats from cash games to tournaments. The table design is clean and simple, allowing you to focus on the game no matter how many tables you have open. The software can be toggled to give players special notifications in big pots or when they have strong hands. Custom bet sizing sliders as well as keyboard shortcuts are natively supported by the software. Four color deck is also available. 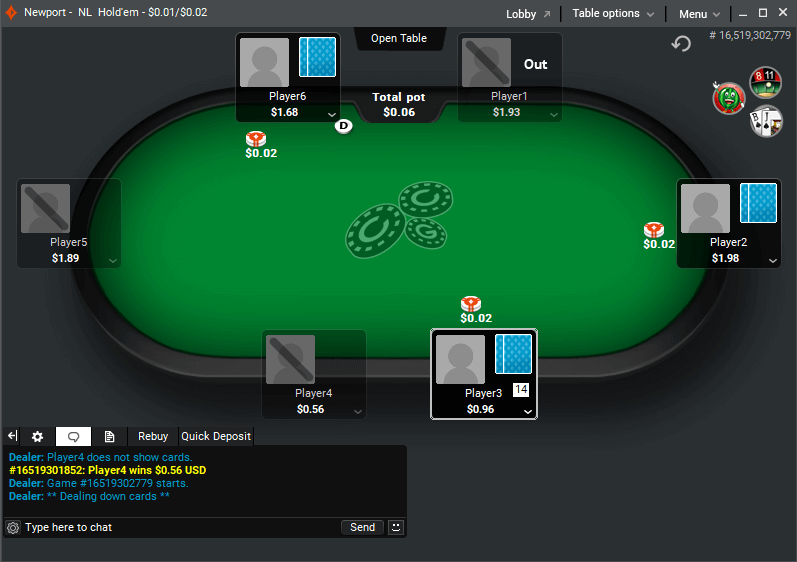 The partypoker software allows you to play up to 18 cash game tables at once. Using the tile option, they will automatically resize to fit your screen space. The software also features multi-monitor support which makes multi-tabling a walk in the park. The maximum MTT & SNG Multi Table Capacity at partypoker.fr is 20 tables, which should be sufficient for even the most serious grinders among us. 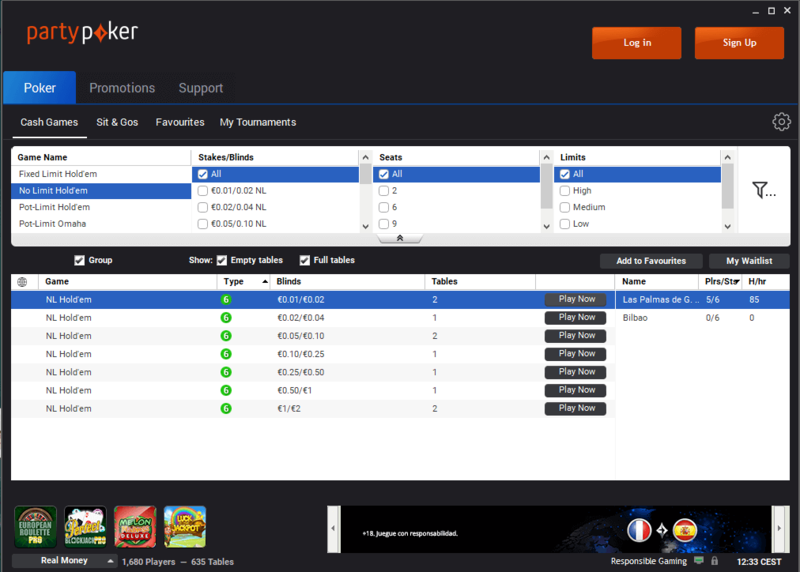 The partypoker.fr software is natively supported by Holdem Manager and Pokertracker. Other third party tools and customization options are also available. The hand histories usually save to the partypoker installation folder that is located in C: Programs PartyFrance partypokerFr HandHistory by default. Rake at partypoker.fr is calculated as follows: total pot, divided by the number of players who contributed to the pot and then allotted to the pot. Tournament fees vary by buy-in. In general, the fee for a tournament will be anywhere from 0% to 25% of the buy-in amount. Actual tournament fees are shown in the buy-in screen for each tournament. By signing up with partypoker France trough us, you will get access to one of the best deals on the market. This includes 25% Rakeback, a whole range of our private rake races and VIP-Grinders Exclusive Party & Bwin Chase (10% extra). partypoker France brings all the great features of partypoker to the shared liquidity pool of France and Spain. 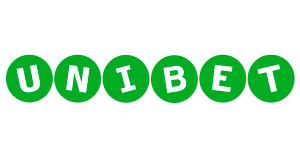 This gives players from France a chance to enjoy great games, promotions and software plus take advantage of our valuable rakeback deal. If you are looking for a room that hosts solid traffic and loads of action, than you surely must give partypoker.fr (France) a try! Submit your PartyPoker.fr Username here.